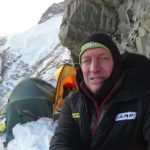 Denis Urubko, who on Saturday, February 24, without the consent and knowledge of the leader and the expedition team, went alone to the top of K2, returned to the base on Monday afternoon. 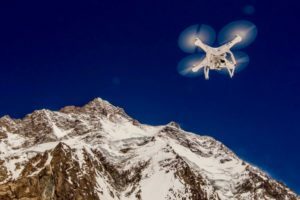 As he reported, he reached the altitude of 7,600 meters above sea level, from where he had to turn back due to bad weather conditions and the onset of a small avalanche. “I came back without conquering the summit. It was a very risky situation. There was a lot of snow and zero visibility. Conditions were very bad. In such circumstances, my only decision had to be a retreat ” – he said in an interview with Robert Jałocha, a journalist with Polish TVN. For some, the decision to attack the peak alone was surprising, for others it was just outrageous. “We did not think he could act that way. We are slightly surprised. Denis was invited to join our expedition. If he had a different tactic, he could organize his own expedition”- said Janusz Majer, the head of the Polish Winter Himalaism Program. Still, others expected such an action from Denis. He often expressed his conviction that the winter nature of the expedition finishes with the end of February, because according to his claim March in Karakorum is already spring. It does not change the fact that he accepted the invitation to participate in the expedition, which from the beginning, according to the assumptions, was to be executed in the calendar period of winter -between December 20 and March 20. What’s more, he confirmed the knowledge and acceptance of this condition by signing a contract with the Polish Mountaineering Association. He seemed to follow it until he was desperate to go up four days before the end of February. “It was my chance to do something and not just sit at the base. I undertook the top attack and I’m really satisfied that I did it. I would be furious if I didn’t do it” – he said. Leaving the camp on Saturday, without consulting with the expedition leader and without taking the radio, endangering his safety and probably realizing the criticism with which his attempt will be met, he put everything on one card. There could be a great triumph; there could be a tragedy. The first reactions of a surprised team of climbers remaining in the base were associated with anxiety about the life and safety of their companion. “I ignore the fact that he acted unkindly – I simply fear for his life” – said Krzysztof Wielicki, the expedition leader, shortly after Urubko’s departure from the base camp, and while organizing the safety back-up for the “unruly companion”. “I’m very worried about him. He suggested going out together, but I proposed to better rest and wait for a good weather “- Adam Bielecki wrote on Twitter. It was he and Urubko that were the first choice for the top attack. However, he did not hide his disappointment with the attitude of a colleague with whom he had recently “run” the wall of Nanga Parbat to the rescue of Elisabeth Revol. “We’ve all seen here how badly Denis wanted to get to the top. His motivation was huge. After he offered me to join the venture, I felt that if I refused, he would go alone. Anyway, it is a surprise, he did not take the radio, he did not inform anyone, generally, such things are not done.” – Bielecki said in an interview with TVN24. Both climbers had formed a kind of tandem, greatly complementing each other. Together, they climbed Kanchenjunga, and together they planned a winter entrance on K2 in 2014/2015. “Denis came up with a cunning plan. Instead attacking it from the Pakistani side, we would try to enter it from the Chinese. We would look for luck on the northeastern wall. 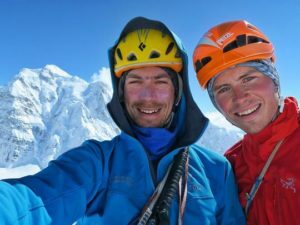 […] The route that we wanted to climb to the top would be the longest of all that lead to K2 “- write Adam Bielecki and Dominik Szczepański in the book “From under the frozen eyelids”. The plans were thwarted by the Chinese authorities, that withdrew permission for the expedition. Denis Urubko, “on his own skin”, found out that the weather conditions made it impossible to summit an eight-thousander and get back to the base. The question arises how his reunion with the team looked like. As Janusz Majer described, he initially did not say anything and did not talk to anyone, most likely due to tiredness. 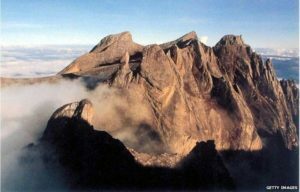 Allegedly, the climber reached a height of about 7,600 meters. He spent two nights in dugouts made in the snow. Further climbing was prevented by a small avalanche, which dropped him about 5 meters down, and the terrible weather conditions, quite different from what he expected when studying forecasts. “He said that those were the three most difficult days in his life. In fact that wind was very strong. Later, they sat at dinner and talked honestly. I think the atmosphere is very good now. The teammates talked to Denis, listened to his argument and accepted his decision” – Majer reported. Krzysztof Wielicki doesn’t deny that he expected such a decision. He admitted that both, the team and he could no longer see the possibility of further cooperation with Denis. “I hope that we will continue to be friends, but what he has done has undermined our relationships a bit,” says Wielicki, who Urubko has recently referred to as his idol. Denis Urubko made himself know as a devoted friend, responsible climbing companion who rushed to help everyone in need. In 2003, also on K2 he brought down Marcin Kaczkan who suffered the altitude sickness. During this year expedition without hesitate he ran to rescue Elisabeth Revol on Nanga Parbat, and later on he offered his support to Rafał Fronia if it would be necessary to walk down to the base. Probably, on Wednesday, Urubko, together with the porters, will leave the base and track a 100-kilometer-long downhill road. According to former expedition participant, Rafał Fronia it is a difficult path on the glacier and full of dangerous cracks, which can take from 4 days to even 2 weeks. 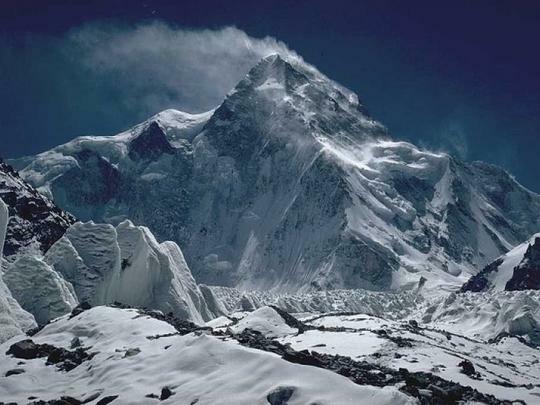 Poland’s Winter Expedition on K2 continues. “Urubko’s departure weakened the team, but it also mobilized its members. He is a strong player, but everyone now knows that they have to manage themselves”- says Krzysztof Wielicki. “I think this decision by Denis caused even greater consolidation of the remaining team. Now, we have one team, one goal and the expedition continues to work.”- adds Janusz Majer. Weather conditions are still not favorable for the attack on the summit, but at the end of the week they are supposed to change. If the window of weather opportunity really opens around March 2-3, the acclimatization at 7200-7400 meters is planned for Janusz Gołąb, who has been tipped for a new partner of Adam Bielecki to attack the top. 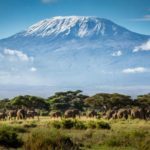 “We need two weather windows of opportunity; the first, to acclimatize around the peak and the second to get to the top. I wonder if we make it on time… “- Bielecki wrote on his Twitter. The last month was marked by events that have inflamed more and more emotions around the Polish Winter Expedition to K2. It started with a rescue operation on Nanga Parbat at the end of January, in which four climbers from K2 took part. The operation of the dramatic rescue of French Elisabeth Revol and Polish climber Tomasz Mackiewicz who remained on the “Naked Mountain” forever, was a demonstration of heroism, brotherhood, solidarity of mountain people, huge determination and the physical fitness of Bielecki, Urubko, Piotr Tomala and Jarosław Botor. The latter, after the rescue operation, returned to Poland for personal reasons, he claimed. A few days later, shortly after returning to the K2 base, Adam Bielecki was seriously wounded by the falling rock. His condition was good enough that the injured nose could be fixed on the spot. Rather less fortunate was Rafał Fronia, when falling stone damaged his arm seriously enough that there was no possibility of further climbing. Disappointed with the necessity of having to give up, Fronia returned to Poland. only positive feelings associated with reaching the summit.